Most mattresses and box springs are composed of materials that can be recycled, such as wire, cloth, paper and wood, but not all cities accept them for recycling. 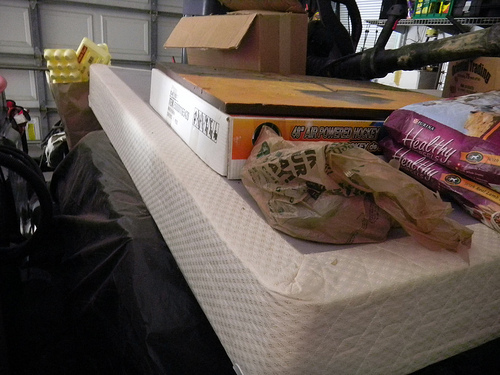 Go to http://www.earth911.org to find out about the regulations in your area and your options for mattress and box spring recycling. This entry was posted in Box Springs, Mattresses and tagged Earth 911, how to recycle beds, recycle boxsprings, recycle mattresses, where do I take old mattresses. Bookmark the permalink.